Despite all the dice, moving tattoos and twisting cards, Reed McClintock's loyalty will forever remain with coins. His Knuckle Buster series embodied Reed's philosophy that magicians shouldn?t just do coin tricks, but rather should perform what looks like real coin magic. The elegant and fluid style of the work in Coin Patriot raises the bar even higher still as Reed strives to elevate his coin work to the realm of moving art. If you have ever wanted to handle more than four coins (say, up to twenty), then this is the DVD for you. 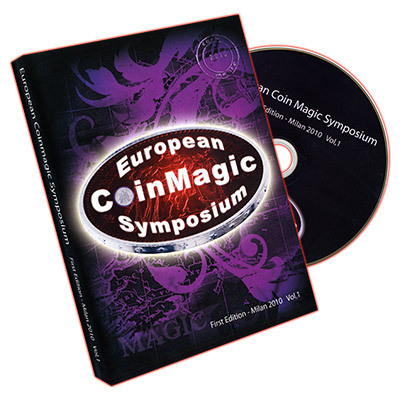 Coin Patriot not only shares the work that has earned Reed a reputation as one of magic's most skilled and innovative coin workers, but also reveals his growing mastery in the art coin magic. Resolution 1777 - This is an absolutely stunning seven-coin production. A half-dollar is produced and vanished twice, then changed into a British penny. The penny splits into two half-dollars. The final reproduction of the penny is followed by a magical explosion of half-dollars. This is an all-natural, barehanded and beautiful gasp-getter. Flying Colors - Using the coins from the end of "Resolution 1777" Reed places three of the half-dollars off to the side. The British penny and remaining half-dollars travel one at a time from the left hand to the right, and the hands never touch. The British penny travels back to the left hand and then vanishes, only to appear under the three half-dollars placed aside at the beginning. The errant penny is then placed in the trouser pocket, only to travel back to the hand. All coins are placed in one hand with the British penny on top. Both hands are closed and the British penny travels to the opposite hand. This is followed by a visual shocker that will not be revealed here. You will have to see it to disbelieve it. United We Stand - Performance Only. If you have to ask for an explanation, you don't really want to know. Uncle Sam Wants You - An extremely beautiful, jaw-dropping 13-coin production that's done barehanded, so you never have to go to your pockets. It's a mini "Miser's Dream", which ends with all 13 coins forming a fun picture of an arrow pointing toward the audience. Freedom Flight - Feel like screaming, "Not another Three-Fly!" Well don't, because you're about to discover a Three-Fly like none you've ever seen before. It's a presentation Curtis Kam calls "the next evolution" of the Three-Fly effect. Back in the days of Bobo, coins traveled from hand to hand invisibly. Jonathan Townsend started a revolution by causing the coins to travel invisibly, but in plain sight. Now Reed offers the evolution of the revolution: The coins are in plain sight, but so is their traveling from one hand to another. Really. Your spectators will swear that they actually saw coins disintegrate on one side, and re-materialize on the other. Although the transfer of coins is completely camouflaged, each transfer is done more slowly than the one before it. The spectator never feels that he missed something, or was looking at the wrong hand. 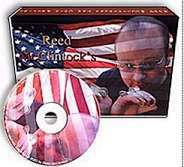 With "Freedom Flight" Reed gives the old coins across new wings that really let this Three-Fly soar. American Dream -This is a pure coin masterpiece! Once the effect is begun, there is no going to the pockets, no loads, and no steals. You will be amazed by Reed's twenty-coin production that ends in one of the finest final displays in magic. A series of three four-coin productions is followed by a mind-blowing eight-coin production. As the coins are laid on the table, an American flag takes shape. This is a total must-see!